Four mortise and tenon doors, four dovetailed drawers, and four splayed feet bring chic charm and character to our South Hooksett Large China Hutch. Our Amish-made South Hooksett Large China Hutch is perfect for storing all your fine china in an attractive glass display. This massive 4-door hutch features all solid wood, handcrafted construction, dovetailed drawers, and beveled glass doors for a classic Shaker feel. The simple, yet beautiful hardwood trim is hand fitted to the casing, as an attractive finishing touch. A center deck is left open for display, where a solid tongue and groove back peeks through. 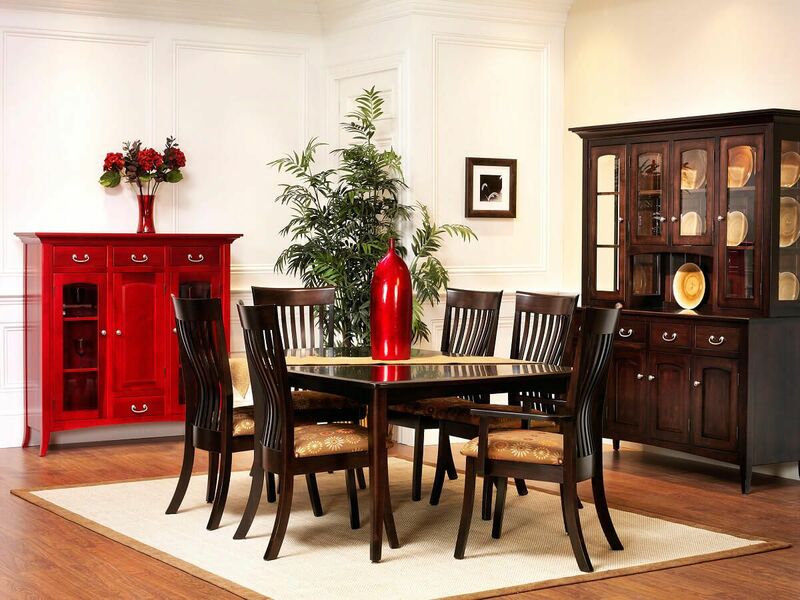 Personalize your South Hooksett Large China Hutch by selecting your preferred hardwood, wood finish, and hardware. 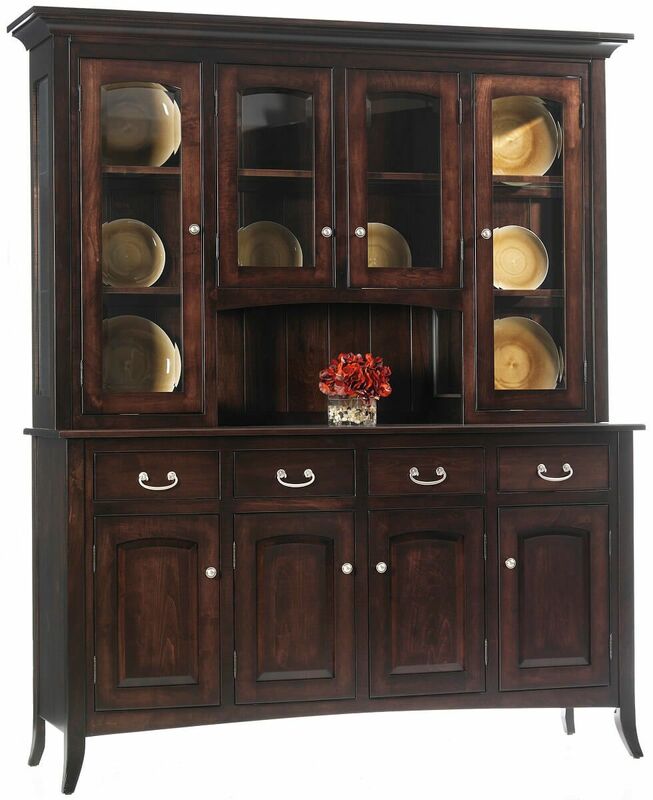 To order this 4-door hutch and buffet as pictured, consider Brown Maple with our Venezuelan Chocolate hand-rubbed stain. 69"W x 20"D x 81"